"In his mind, he has the power to see the future. In his hands, he has the power to change it." 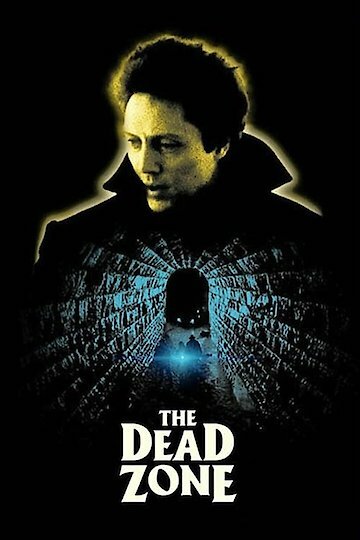 The movie The Dead Zone is set in Castle Rock, Maine. Johnny is in love with Sarah, who is a coworker of his, and finally makes a move on her. Johnny is in a car accident and spends the next five years in a coma. When he wakes he finds out that Sarah is married with a child. Johnny also awakes with psychic ability and is able to see into people’s minds if he is able to touch them. Johnny is taken in by the sheriff to help solve a murder. He finds out that a policeman has committed the murders. The man kills himself and his mother shoots Johnny. The sheriff shoots the mother. Johnny realizes that he is able to see people before they are going to die. The Dead Zone is currently available to watch and stream, download, buy on demand at Amazon Prime, Starz, Amazon, Vudu, Google Play, YouTube VOD online.